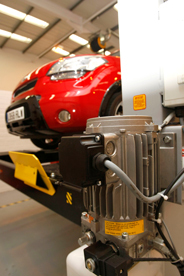 Good Garage Scheme Car Servicing in Great Britain : Looking for your next apprentice? The Good Garage Scheme can help you find the right recruit for you. Looking for your next apprentice? The Good Garage Scheme can help you find the right recruit for you. This summer will see a fresh influx of school leavers seeking placements either in full-time education or in apprenticeships. With the highly-publicised hike in university admission fees, many may decide to choose apprenticeships over degrees or diplomas. Competition is intense and in order to stay ahead you need to act quickly. Skillnet are working with the Good Garage Scheme to assist with the recruitment and training of apprentices. A wide variety of apprenticeships are available. What are the benefits of hiring a new apprentice for your business? You are giving an opportunity to a young person to become a technician in a highly skilled field. 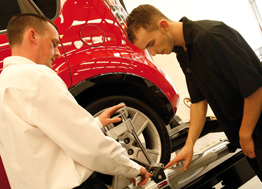 With the increasing complex developments made to vehicles every year, quality technicians are in great demand. Hiring an apprentice can also help you gain profits for your business. The additional revenues and productivity of your business can reap great rewards. Skillnet seek to match apprentices with your business to help you find the right candidate. They train the recruits in the most up-to-date procedures and innovations. Each potential apprentice is put through a stringent application process. For sixteen to eighteen year olds, apprenticeships are Government-funded so your only contribution is the apprentice’s wages. If you would like further information on recruiting an apprentice, Skillnet can be contacted directly by telephone on 01923 216165 or on their website.